2019 Titles will be awarded in each age division and level. Regional Title score will be based on solo performance (50%) and an improvisation performance (50%). Royal Title contestants are eligible for all overall and placement opportunities. Each dancer will be grouped by age for the improv portion. Participants should perform in basic dance wear and the given display number or letter. The music selection will be picked by Star Talent Productions and will not be released prior to the event. improv scores based on Technique, Showmanship, Originality and Musicality. Regional Royal Titles are awarded in each age group and level. National Royal Titles opportunities are open to all soloist. A Royal Title will be awarded in each age group and level. Additionally, a National overall winner will also be crowned for the overall age group regardless of level. National Titles will be scored on solo performance, Improv, Interview/Questions/Conversation, Workshop participation and Photogenic. Separate registration entries are required for workshop, improv and photogenic. 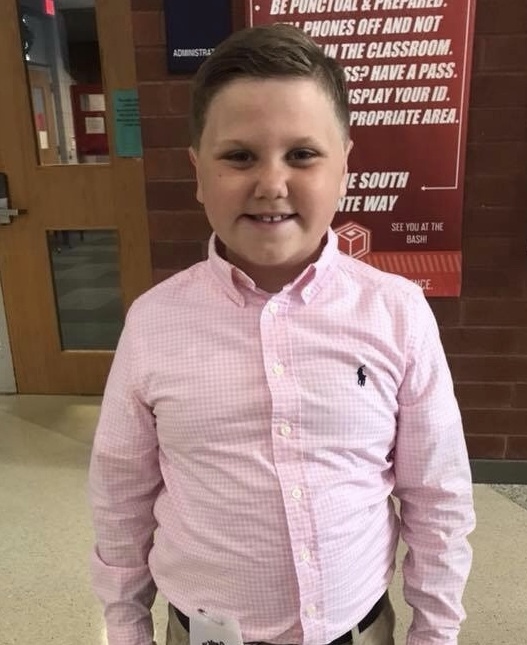 Bristol Diehl is 7 years old, and is a 2nd grade student at Princeton Elementary School in Princeton, NC. Tippy Toes Dance Studio has been her dance home since she was 2. Lyrical is her favorite style of dance, but she also enjoys studying ballet, tap, jazz, hip-hop, and acro as well. She began competing as a member of her studio’s dance team when she was 5. Bristol loves being on stage! For the past 3 years, she has performed in a variety of roles in her studio’s annual production of The Nutcracker. As a competitive dancer, she has received top honors such as Judges’ Awards, as well as regional titles with Absolute Dance and Star Talent Productions. When she’s not dancing, Bristol enjoys reading Harry Potter books and watching the movies as well. She also loves watching Looney Tunes cartoons – Bugs Bunny really makes her laugh! She loves being outdoors, and the beach is her favorite vacation spot. Bristol hopes to dance professionally in the future, and become a dance studio owner/teacher. Paige has been dancing for 5 years at ADMA Elite in Avon, Ohio. She is in the 5th grade. She loves her dance family and is always excited to learn new things. Her favorite style of dance is Lyrical and hip-hop. In her free time she likes to hang out with her friends and make up their own dances. She can’t wait to see what the 2019 season brings. Paige loves when her dad can be home to see her perform. He is currently serving in the US Navy and has only seen her perform a few times. Mister Petite Excel Star Talent, Auggie Martin has been dancing since the age of 2. Auggie wants to be a dance teacher and work at a dance competition when he gets older. Auggie loves to make people laugh and is a self proclaimed comedian. He is actively involved in his church. When not dancing, enjoys making blogging videos and playing outside. Auggie is excited and honored to represent Star Talent. Reagan has been dancing at ADMA Elite in Avon, Ohio for over 6 years. She is very proud of how far she has come, dance is her deepest passion. Reagan loves to challenge herself, and learn from her own mistakes to help grow. When she is not in dance classes, Reagan enjoys hanging out with her best friends, they always choreograph our own dances. She loves when her family gets to hang out and play games, watch movies, eat popcorn, and be silly. Reagan’s favorite style of dance is lyrical because she can tell a story through her emotions on stage. Her dream is to become a professional dancer and hopefully own her very own studio. Reagan cannot wait to see what this upcoming season will bring with Star Talent. Hello from Athens TN I am Landree Douglas. Petite Miss star talent 2018. My birthday is April 4th. Some fun facts about me is that I’m going to be on a tv show coming out in 2019 on A&E network. I also love to sing and recorded a song with m brother Landon while we were in Los Angeles, California. I love ballet, acro, musical, tap, contemporary, theater and my new favorite ballroom dancing! When I grow up I would love to be a professional dancer and be on broadway. In February I’m moving out to Los Angeles CA for a month to further my dance education and for some special projects I have coming out! I’m honored to be apart of the Star talent royalty and look forward to attending upcoming events to help out! I love meeting new friends so please come say hello! Love, Landree Douglas. Ruth Baggs is 11 years old and lives in Henrico, VA. She is a 7th Grade Student at Quioccasin Middle School where she excels in math and science. Ruth is active at her church, participating with youth group, Sunday School and volunteering for VBS. She has been dancing since she was just 3 years old and started competing 2 years ago. Her favorite style of dance is contemporary, but she enjoys learning ballet, jazz, hip hop and tap. She also currently enjoys her pointe prep class at Barre None Dance Company. Ruth loves learning from her teachers, Keisha and Xtina, and is excited about the upcoming competition season. In her down time, Ruth loves to read, watch TV and cuddle her kitten, Maroon. Vivian Boyd is twelve years old, and is a seventh grader at Collegiate School in Richmond, Virginia. She started dancing at the age of three, and has been competing since she was nine. She has studied ballet, jazz, tap, hiphop, and contemporary, and her favorite style of dance is contemporary. She has won many awards at competitions, including regional and national titles, overall high scores, and judges’ awards. She loves to dance at Barre None Dance Company, and one of her favorite things is to assist with the younger classes there. When she isn’t dancing, Vivian enjoys watching classic movies and organizing. She is thrilled to be Miss Junior Extreme Star Talent for 2019! Currently a rising 8th grade student, Clara spends her non-school hours at her dance studio, Barre None Dance Company (BNDC), in Richmond, Virginia. She enjoys all varieties of dance classes and has had fun participating in specialty workshops this summer, including Heels and Improv classes. She recently attended a musical theater intensive in NYC with the Joffrey Ballet School and had an absolute blast. Clara and her BNDC teammates also enjoy performing for the residents of an assisted living facility in Richmond as a way to support their community. 2018 was Clara’s 4th year of competing and she has attended Star Talent Competitions each of the last 3 years and even performed her very first solo ever at the Star Talent Competition in Roanoke in 2016. She is grateful for all of the recognition, including awards, scholarships and other opportunities that she has received during her first 4 years of competitive dancing and she owes her long-time mentor and choreographer, Ms. Keisha Gervais, a million thanks. In addition to dance, she also enjoys her school subjects and dreams of one day becoming a trauma surgeon. Clara is thrilled to be your Miss Junior Star Talent Elite for 2019 and is excited for what this next season will bring! 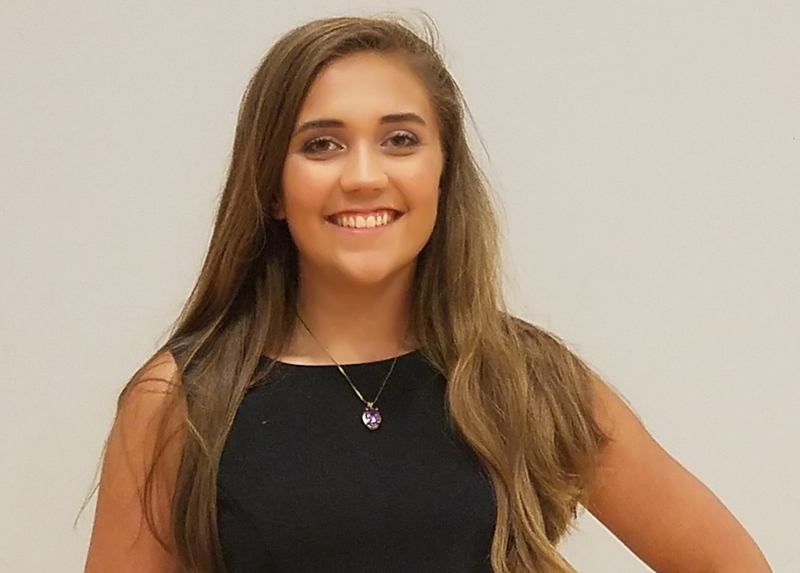 Miss Teen Excel 2018-2019, Heather Culver, is 15 years old and lives in Rock Hill, South Carolina. She is a 10th grade student at York Preparatory Academy where she enjoys Spanish and Algebra 2. Heather is active in Marching Band at school where she serves as a section leader and plays the clarinet. Heather began dancing at 3 years old and began competing 4 years ago. Her favorite style of dance is lyrical, but she also enjoys pointe, ballet and jazz. Heather loves her dance family at Julie’s Fancy Feet Dance Academy in York, South Carolina. She is very excited for the upcoming dance competition season! In her down time, Heather loves to draw and spend time with her dogs – Daisy and Cheyenne. Colin French dances at Lee’s Studio of Dance in, WV. Colin started dance at the age of 9 and has been competing ever since. He has trained in hip hop, contemporary, ballet, tap, and musical theater. He especially enjoys hip hop and tap. Colin has done multiple solos and duets. He has participated in the World Dance Championship 4 times in Secaucus, NJ. He has had central roles in group dances that have won national titles at Showstoppers, Star Talent and many other competitions. 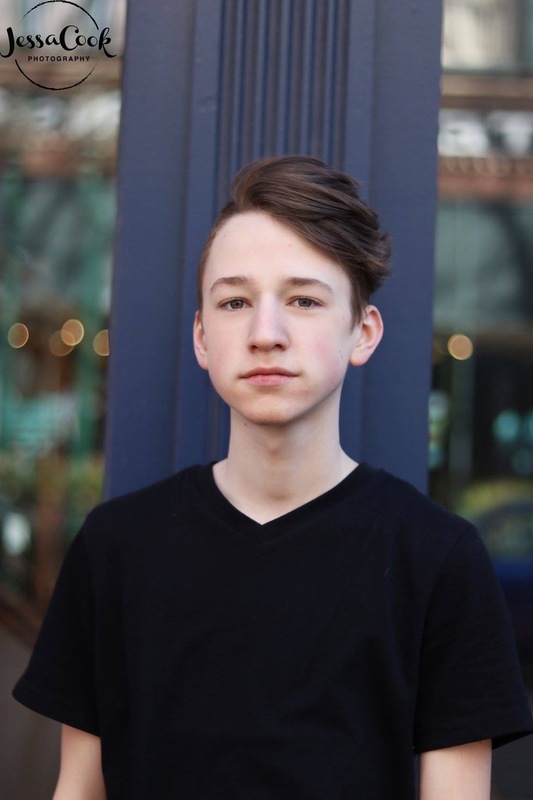 Colin looks forward to the upcoming competition season and hopes to go to college with a dance scholarship. Last year, with his solo, he won many regional titles and this year was no exception. He is honored to be Mister Teen Star Talent 2019. Haley has been dancing competitively for 7 years with Melanie Paschal’s Dance Creations located in Eden, North Carolina. She loves to compete in acro, ballet, tap and jazz, but has fallen in love with contemporary dance. Among her favorite dance experiences, are attending an intensive at Chehon Wespi-Tschopp’s studio, “I AM FORCE”, in Los Angeles last summer, dancing at Disney World on two occasions, performing on a Carnival cruise ship, and attending the Dance Dreams Intensive and dancing at Alvin Ailey in New York this summer. Haley would love to have a career in the dance world and will continue to work toward that goal! When she is not dancing, Haley enjoys hanging out with her awesome friends, playing games with family, cheerleading and playing right defender for her school’s soccer team. Kaylee Sauls is the Teen Elite Miss Star Talent 2018-2019. She is an Elite dancer and company member with Prestige Dance Institute where she is also a Senior Assistant. Kaylee is in 9th grade at Smithfield Selma High School where she is member of the AVID program and an A/B Honor Roll Student. Kaylee is 14 years old and began dancing at 18 months old. She competed her first competition solo at Encore DCS at the age of 3 where she won her first Highest Score of the Day to Aretha Franklin’s “Think”. Her favorite solo is a tap dance to Fifth of Beethoven. She trains in tap, clogging, ballet, jazz, lyrical, contemporary, musical theater, and hip hop with tap being her absolute favorite. She has held many regional dance and pageant titles throughout her years competing. When Kaylee isn’t dancing, she enjoys spending time with friends and shopping. Karamie Layne Walsh is Senior at Rockingham County High School. She began dancing at Melanie Paschal’s Dance Creations at the age of 3. She was very timid and shy that first year and had a serious case of stage fright. After taking classes in Ballet, Tap, Jazz, Lyrical, Contemporary, Acrobatics, and Hip Hop, she had overcome her fear and decided to audition for the competition team at MPDC. She is thankful for the many teachers and role models that God has placed in her life both in and out of the studio. Her dance family is very important to her. Besides the many classes that she takes, she is also a student assistant and loves working with the younger dancers. Her dance experience has allowed her to be chosen as dance captain for musical theater performances at her high school and leading dance roles in the Theater Guild of Rockingham County. She has won many awards in dance through the years but feels that being Miss Senior Extreme Star Talent is the greatest honor she has received and is looking forward to an amazing dance season. Justine Anonuevo is a 17-year-old girl from Chesapeake, Virginia and she is a senior at Western Branch High School. She been dancing at her home studio, Maureen’s School of dance, since she was 3 and has been a part of the Spotlight Dance Team ever since she was 6. Justine’s favorite styles of dance are musical threatre and lyrical. Throughout her years of dance, Justine has won numerous awards including special judges’ awards, first places, highest score of day, and other titles from various competitions. She has also attended many dance intensives and conventions where she got to work with popular chorographers. After high school, she plans to expand her dance education. When she is not at her studio, Justine is usually watching anime shows in her room or playing video games. She also enjoys reading from time to time and her favorite book is “The Giver” by Lois Lowry. Justine goal in life is to become a professional dancer and, in the distant future, hopes to open her own dance studio with her sister. Since this is Justine last year of competing, she wants to make everyone she has met throughout her competitive journey proud of her and promises to leave her heart out on the stage every time she performs. She is extremely ecstatic to represent Star Talent as their Miss Senior for the upcoming dance season.